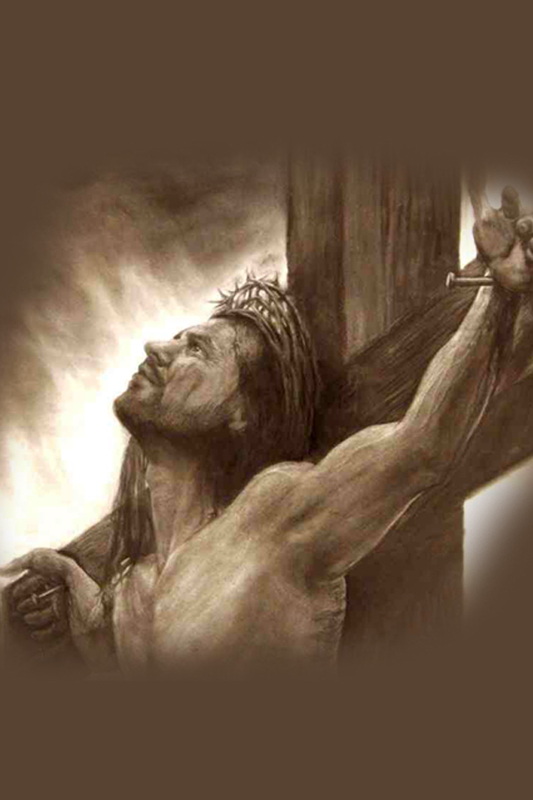 Home » Articles » Was Jesus Died on Cross? » Was Jesus resurrected having died on cross? Or was alive though he crucified? Was Jesus resurrected having died on cross? Or was alive though he crucified? Label: Articles, Label: Was Jesus Died on Cross? For the above Question that “Was Jesus resurrected having died on cross? Or was he alive though he crucified?” Let us see what the answer of the Bible is in the following verse. The testimony of Jesus presented himself to be alive! On careful examination of the above verses the following verses come in to light and need examined closely. In the Prophecy of Psalm 118:17 it has been mentioned that “I SHALL NOT DIE, BUT LIVE.” This is the unequivocal proof that Jesus had not died on the cross but he alive even though he had been put on the cross. Those that imagine the part of the prophecy “I SHALL NOT DIE” had been written indicating to the resurrection of Jesus they should understand that one thing that it becomes meaningless If one says as “I SHALL NOT DIE, BUT LIVE” who would undergo the process of resurrection after having died. Importantly one should carefully observe the second part of the prophecy at issue, that- “THE LORD HAS CHASTENED ME SEVERELY, BUT HE HAS NOT GIVEN ME OVER TO DEATH” it is made clear that Jehovah had intended to punish Jesus only but he did not intended to give him over to death. That is why Jesus has presented himself to be Alive showing so many infallible proofs. If he were really died what need to him show so many infallible proofs to prove himself to be Alive? If he really were died he would have presented himself to be resurrected and it is enough to show a single proof of his spiritual body in order to make people believe that he is resurrected one. But as he did not die on cross but Alive he presented himself showing so many infallible proofs. What are those proofs we will see in our forthcoming topics if God wills. 0 Response to "Was Jesus resurrected having died on cross? Or was alive though he crucified?" హిందూ శాస్త్రాల ప్రకారం దేవుడు ఎవరు? యెహోవా అన్నది క్రైస్తవ పండితులచే ఉనికిలో తేబడిన పేరు మాత్రమే! | JEHOVAH is the fabricated name of Christian Scholars! The analysis that the Christians should do about Muhammad (s) | క్రైస్తవులు ప్రవక్త ముహమ్మద్(స) విషయంలో చెయ్యాల్సిన విశ్లేషణ! త్రిత్వం బైబిల్ బోధా? అన్య బోధా? Articles Books Books-1 Editorial General Topics (English) Is God Trinity? Or One? Is Jesus God? Or Messiah? Is The Blood necessary for Salvation? Jehovah is Allah OUR PURE AIM Slider Videos Was Jesus Died on Cross? Who is Another comforter? యేసు దేవుడా? మెస్సీయా?